The past three years of living in New York has really opened my eyes to the world of fine dining, Michelin Stars and other good eats. 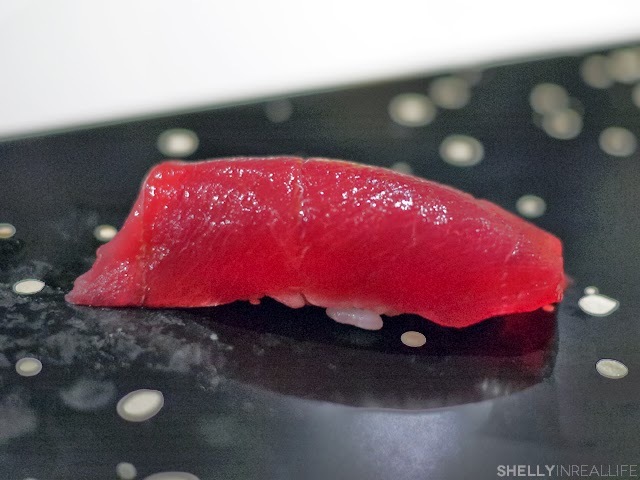 One thing that I still haven't really developed a palette for is great sushi. 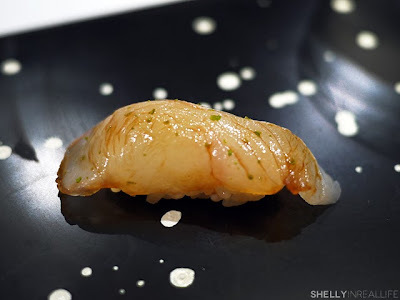 When the most expensive tasting menu in NYC is Masa, a 3-Michelin Star Japanese restaurant, you know just how big (and expensive) the world of a good Japanese dinner can be, and how little I have explored it. 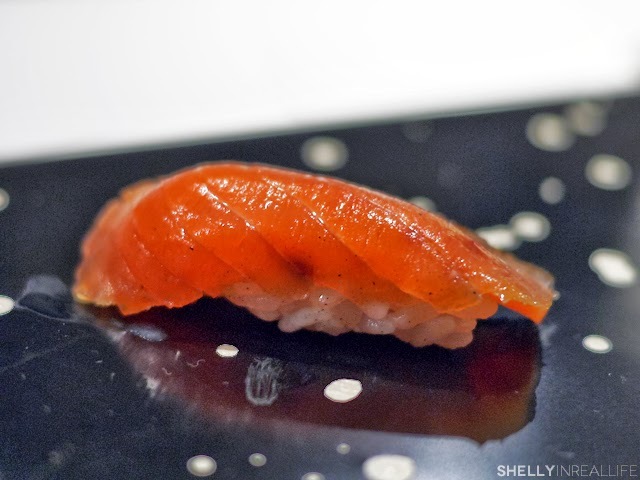 A tasting menu at Masa starts at $450 without tax and tip - Eeps! Sushi this fine would only be wasted on my amateur palette. When I watched Jiro Dreams of Sushi on Netflix, I began to understand sushi as more than fresh fish and well cooked rice. 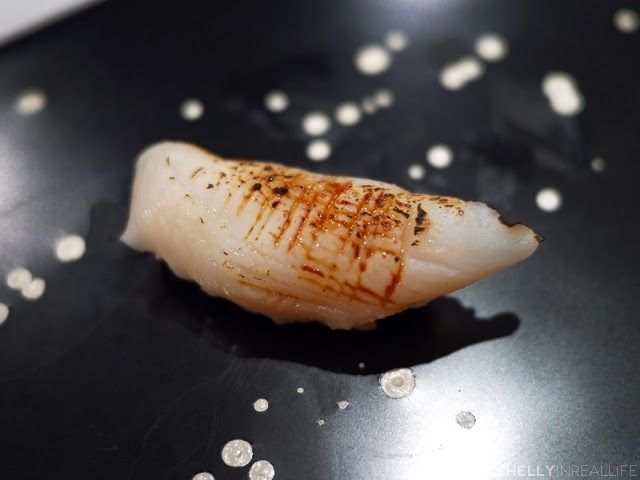 Mastering the art of sushi means you cater to even the smallest details, from where your rice is sourced to how much pressure you use to cook the rice, aging certain fish, or even massaging your octopus for over 45 minutes before cooking it so it becomes the most tender bite. After watching this movie, I had sushi on my mind. However, there are a few obstacles between me and Jiro. First, there's the distance, Jiro is in Roppongi Hills, Tokyo Japan. 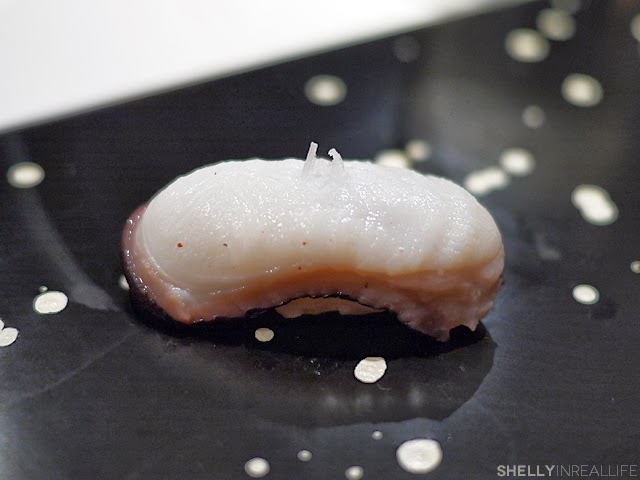 And more importantly, even if I was able to go to Tokyo to experience this meal, eating an omakase at Jiro's is 30,000 yen or ~$300 USD and lasts less than 30 minutes - too rich for my blood. 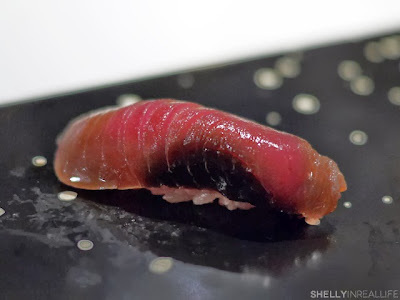 Luckily for me, Nakasawa, Jiro's senior apprentice recently became the head sushi chef of his own place, Sushi Nakazawa, in the West Village. 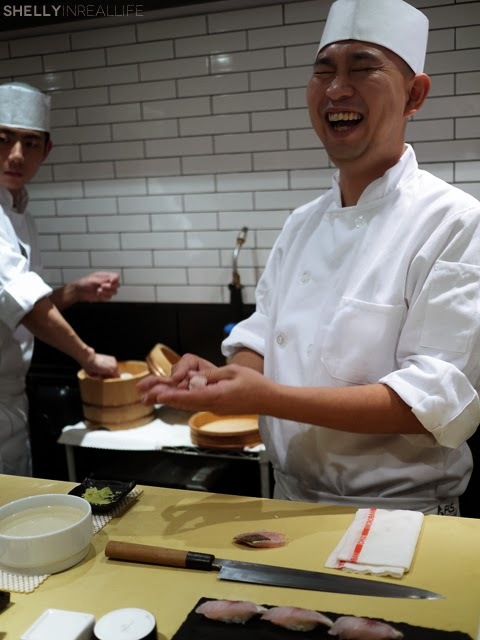 If you saw the film, you would remember Nakasawa as the sous chef who spent 3 months making over 200 tamagos, a Japanese egg omelet, before Jiro finally gave his approval. 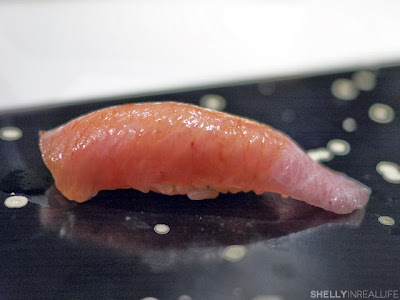 As true sushi noobs, J and I were finally ready to drop some cash on a serious omakase. So, for months and months, we were trying to figure out which sushi chef was going to lead the way for us. 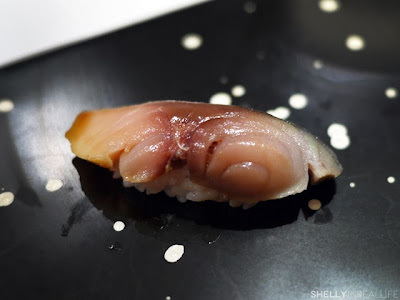 There is definitely no shortage of great sushi joints in Manhattan, so we were debating between Sushi Yasuda, Sushi of Gari, 15 East, just to name a few. 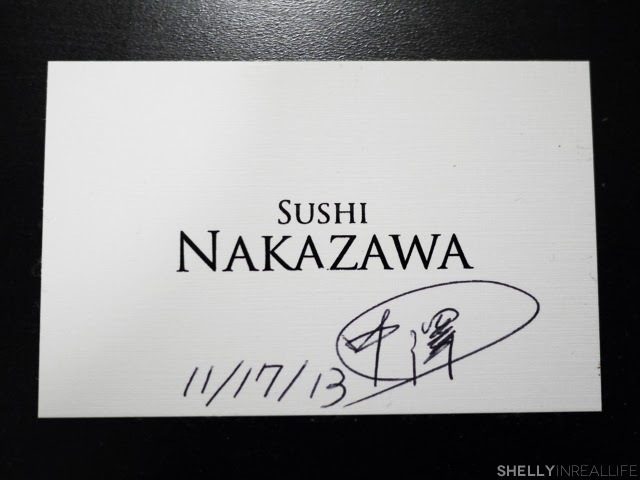 It wasn't until I heard about Nakazawa opening his own restaurant did we finally pull the trigger. 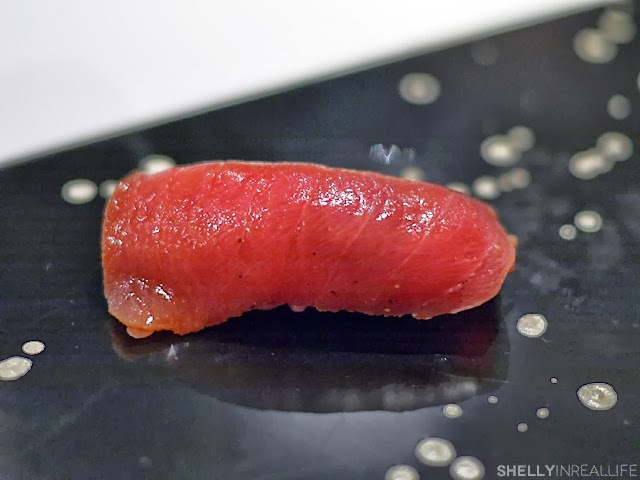 While J and I both thought we could enjoy the experience of a good omakase, the sushi quality between all these places would seem similar enough to us. Sushi Nakazawa holds more meaning since it connected us to the story of Jiro. 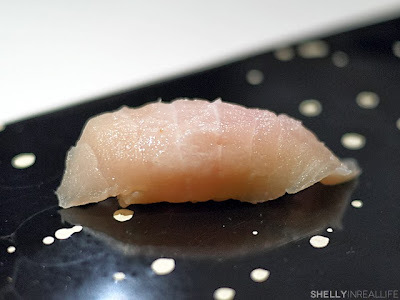 To everyone out there who has mentioned in the past two months how hard it is to get a reservation at Sushi Nakazawa - I can say from personal experience that it's not. 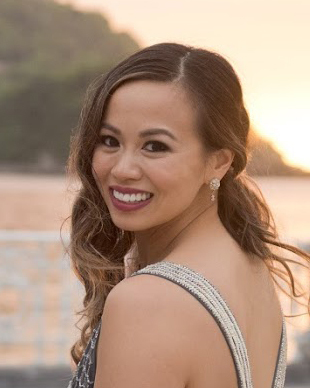 A month before my birthday this year, I signed on to their website and was able to reserve 2 seats at the Sushi Bar at 7:15 PM. By 12:05am when I checked again, there were still 2 other seats (out of 10) left for the 7:15 PM reservation, and plenty of seats left for the 5PM and 9:30PM slots. Be diligent at midnight and just plan a month ahead. Easy. 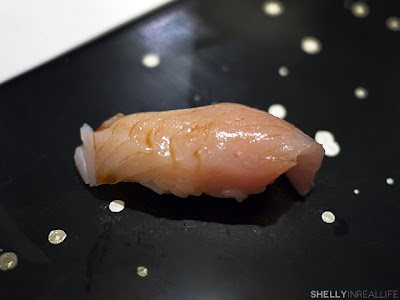 As I mentioned, I am a sushi noob, so if you're here to look for a post about the quality of the sushi at Sushi Nakazawa compared to those of other sushi restaurants of the same caliber in Manhattan, this post will not help you with that. I do, however, have a picture by picture replay of our meal here for your viewing pleasure. As we walked away from the busier streets of the West Village, I was surprised to see how contemporary Sushi Nakazawa looked neatly tucked away in the somewhat residential street. The decor of the restaurant is rather stuffy - it is more fit for haute French cuisine than anything Japanese. 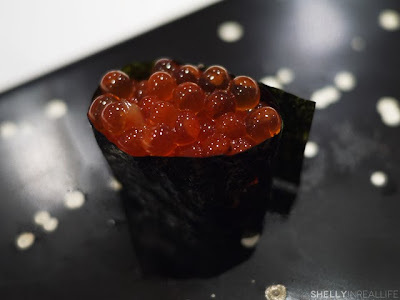 With its walls painted black and staff dressed in suits, if it weren't for the five sushi chefs that stood behind the 10-seat Omakase bar, you would never suspect that a sushi omakase was coming your way. Upon arrival, we were brought to our soft black leather bar stools that neatly fit all ten of us at the counter. My stool had to be pushed in by the maître d in order for me to fit, but I'm not complaining, those seats were very comfy. Just as the whole experience began to feel a bit too formal, Chef Nakazawa starts turning on the charm. "$10 a picture!" he said half-jokingly as he tried to break the ice. Although his English wasn't very good, he really made an attempt to chat with all of us at the sushi counter and his overall demeanor showed just how happy and excited he was to be in New York. 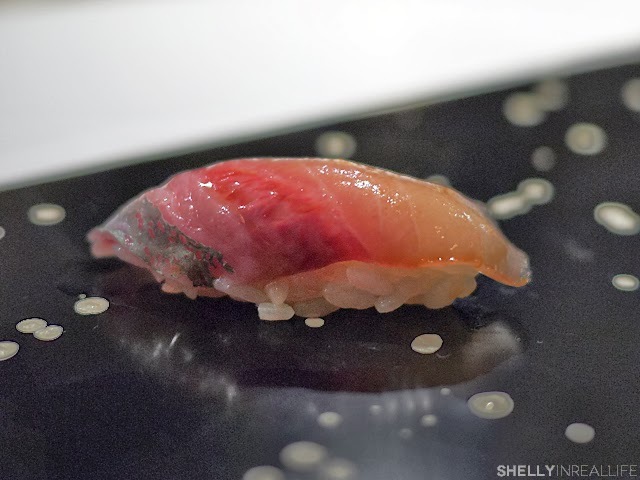 Prior to this, he was working with another Jiro apprentice in Seattle, but there's nothing like calling the shots for your own Chef's Omakase. It was really fun watching the sushi chefs work together. 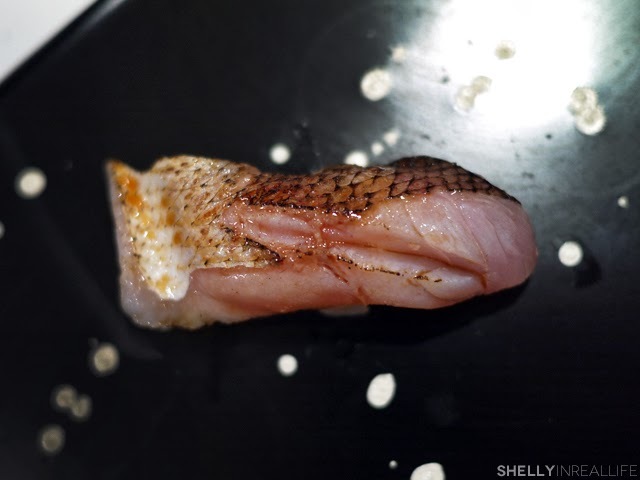 Most of the time, the sous chefs would cut the fish and Nakazawa personally made each of our pieces for the 10 of us at the bar. While we were eating our dinner, the 4 sous were making different plates of sushi for those sitting in the dining room area in the back of the restaurant. This is an omakase-only restaurant where it's $150 at the sushi counter, and $120 in the dining room. Given the $30 difference between eating at the sushi bar versus eating in the dining room, I would easily choose the bar again. 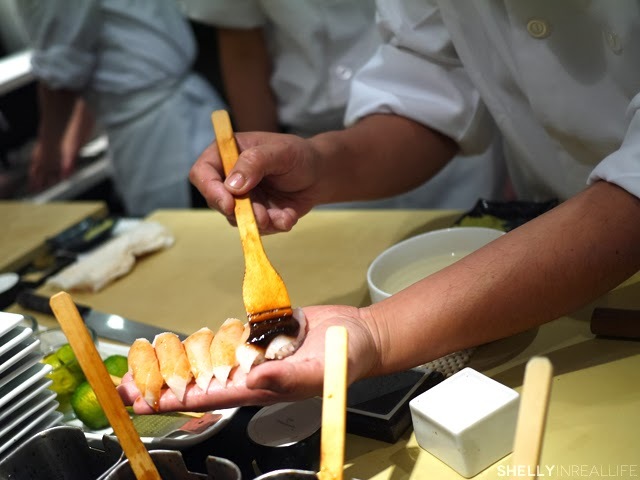 Not only was it truly a show to watch the chefs prepare the sushi, but you also get served each piece individually and immediately. Now, enough about that, onwards with the food! I didn't love the start of this meal, found this a bit too fishy and pretty "meh" in texture. They smoke this fish on their rooftop over hay, props for that. I loved smokey flavors, especially with salmon so this was an easy favorite for me. Texture on this was awesome, so sweet and tender but with a bite. 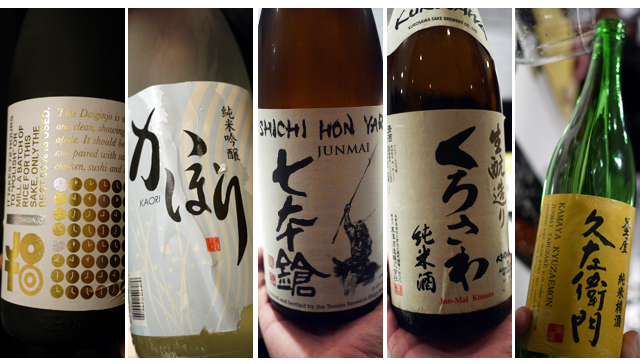 J loved the Yuzu Pepper on top. 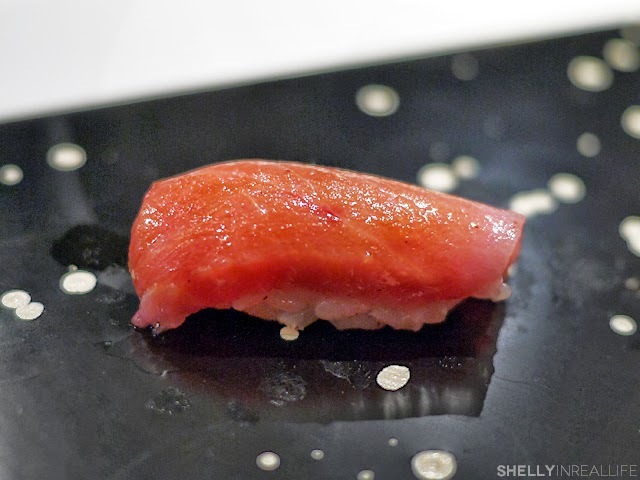 Soy sauce seared, chewy, tender and warm! 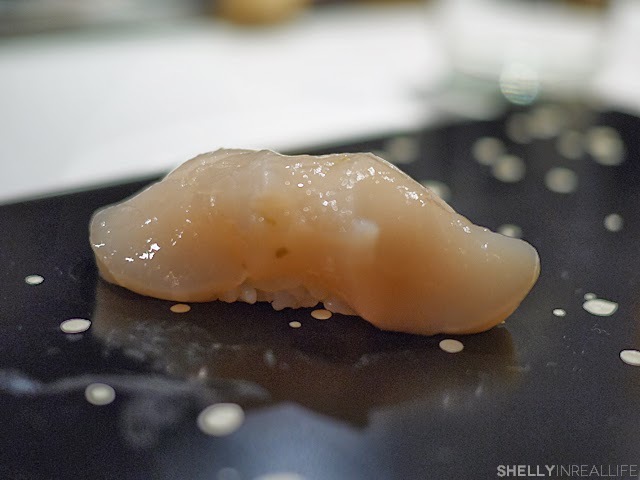 Have had better fluke ceviche texture. Nom love the seared skin, Nakazawa says this is his fave. Liked more than other "meh" ones. Loved it was fishy with more bite and chewy than the mushy fish. 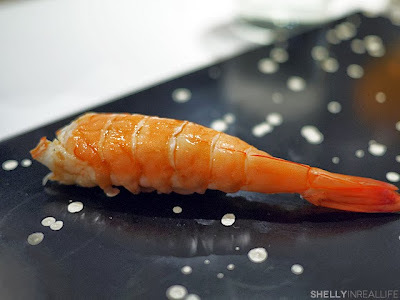 Sweet shrimp, but a tad overcooked. Nakazawa kept trying to pronounce "Caledonia" but we all kept hearing "California" haha. Funny interaction with that. Picked Ginger, loved how fresh this tastes compared to typical ginger. 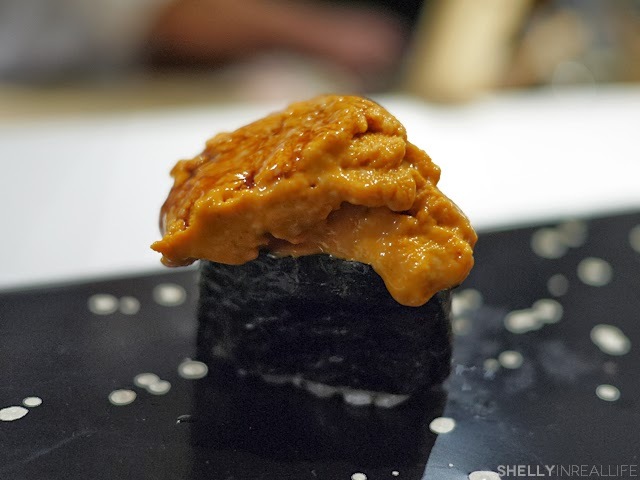 Chef Nakazawa knew it was my birthday and asked me as he was preparing this, do you like uni? Of course I said yes (even though it's only recently started growing on me), and out came the "Birthday" serving of Uni. Delicious of course and jealous onlookers claimed it was their birthday too. Definitely fresher than most that I've had, with each bite having a pop of the sea in your mouth. Pretty good, might like roasted more and J wanted more rice with his piece. 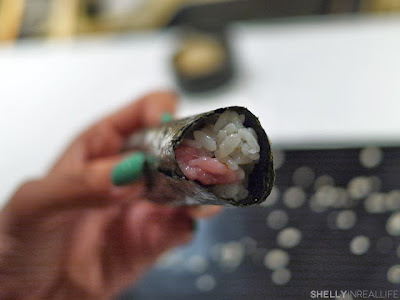 Notably the best hand roll ever, where other tuna handrolls use scraps to cover up bad quality, this was just delicious all the way through with the freshest sushi, rice and fish! The infamous Tomago. 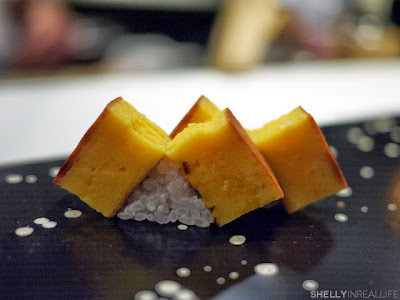 I've never had tomago like this before where it's so sweet it's almost like a spongey dessert. 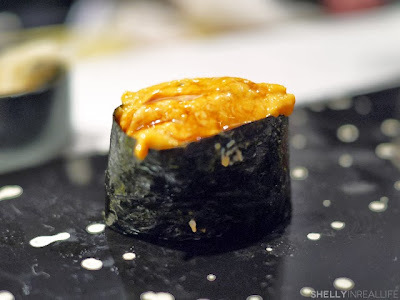 I wouldn't say that I loved it, but it brought an interesting end to the meal as a "dessert" sushi. We weren't quite ready for the meal to be over, and apparently neither were the other 2 couples with us, so we ordered just one extra bite. This was good, but I could have kept having more pieces forever. 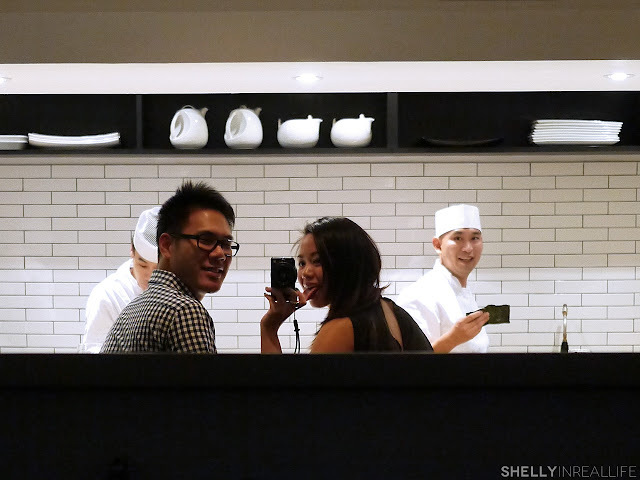 To our surprise, there was actually a dessert course at Sushi Nakazawa, and it was actually pretty good. 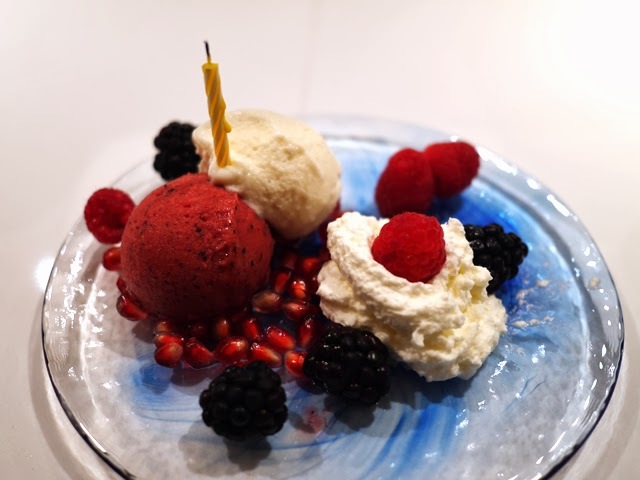 For my birthday, they came out with a special plate of 2 ice creams and fruit which was a very nice and light end to the meal. Non-birthday kids still had the berry sorbet with blackberries & raspberries. 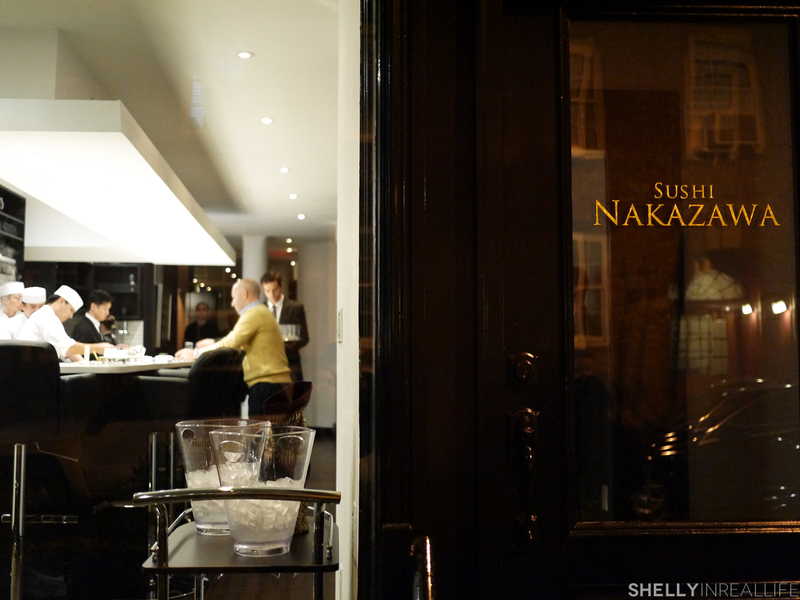 Overall, I really enjoyed my meal at Sushi Nakazawa because of how pleasant the whole experience was. 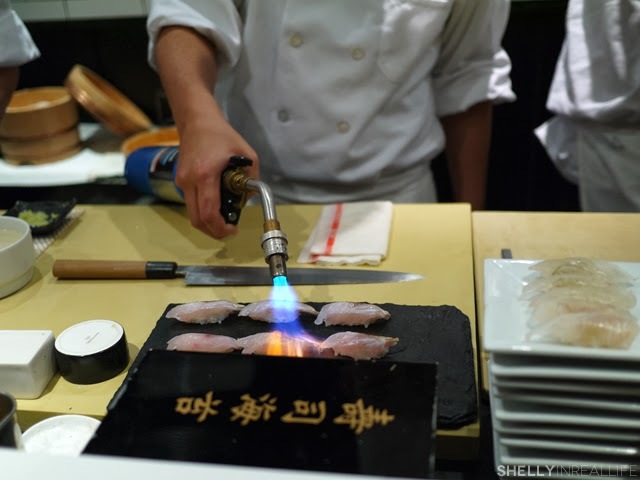 Although the atmosphere was a bit more formal than I expected, it was really nice to sit at the sushi bar and watch the chefs create their art. 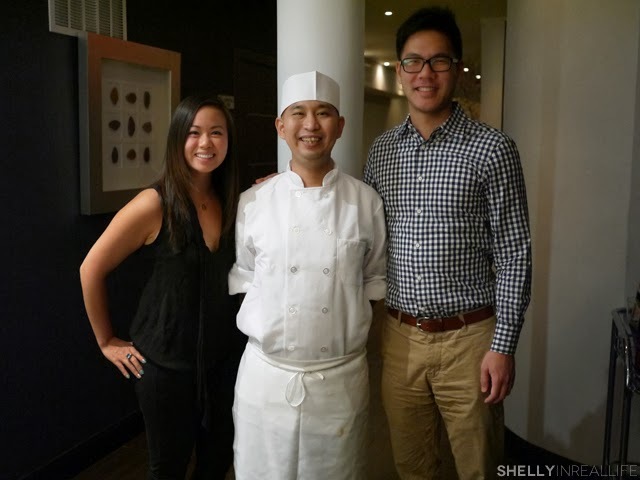 There was never any downtime for any of them as they skillfully and quickly prepared each 21 pieces of our sushi. Also, the service here was just top notch over all, as you would expect from a fine dining restaurant, which is what I'm guessing Sushi Nakazawa is setting themselves up to be. As first timers in a sushi restaurant of this quality, J and I definitely left as happy campers. At no point in time did we feel scared to eat (like many mentioned about their meals eating in front of Jiro. 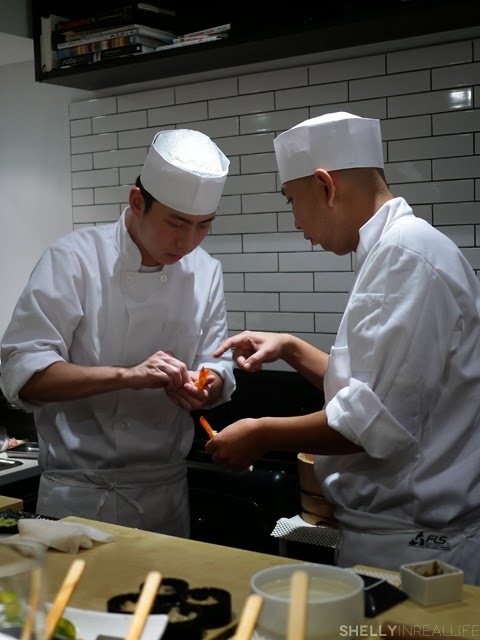 Daisuke Nakazawa has created a fun atmosphere for all Manhattanites to enjoy their sushi and being that this is only the second month that the restaurant has opened, I'm excited to see where he takes it from here. ありがとうNakazawa-san, for making my sushi dreams come true!